Financial services marketing strategies today require marketers to go beyond targeting the usual segments to discover new untapped groups. Here’s how some banks are exploring the unexplored. If you’re the kind of person who doesn’t mind spending time with children, it will probably take you less than an hour to realize that kids these days are extremely smart and precocious, maybe even alarmingly so. On the flip side, however, they also display a level of vulnerability that the previous generations didn’t. In order to cope with this, parenting styles have undergone a sea of change, preferring to equip children early in life. Naturally, marketers have picked up on this transformation and have begun to aim their products and messaging at children. Case in point here is PKTMNY which was launched earlier this month. As you can probably guess, it is a method by which parents can impart crucial money management skills. 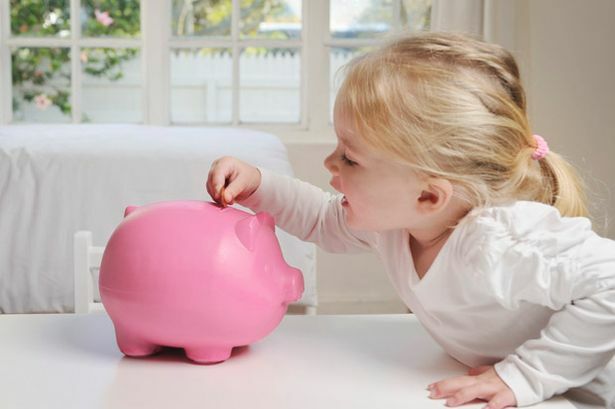 It’s as simple as setting up an account, deciding factors such as frequency of deposits to the account and chores that are to be rewarded, as well as maintaining wish lists and savings targets for the child. Developed by a group of parents, this product was designed keeping in mind the need to teach young kids the value of money while making it fun for them. In short, kids get a partial idea of what it is like to be an adult. All this, however, comes with requisite monitoring from parents who get to decide the spend limit per transaction and where the transactions are allowed to be made. Clearly a win-win situation for kids and their parents. Not to mention a bigger win for financial services marketing. This product is one in a slew of similar products that have been introduced for children by banks. A prepaid debit card called the Visa Buxx Card was introduced in 2000. In 2009, Discover Financial Services had introduced a product they called the Current Card which was essentially a prepaid debit card aimed at teens. There is also a prepaid MasterCard by MetaBank which works along the similar lines and additionally allows users to swap money over Facebook. The trend of focusing products on the younger generations is not just restricted to financial services marketing. Even technology giants like Apple have realized that the kiddie market is promising enough to go gung-ho on creating educational apps for children on their products like iPad and iPhone. In fact, Facebook is said to be considering allowing access to kids under 13 with parental supervision as well. Marketers are quickly hopping on to the same bandwagon is because children have become extremely persuasive forces when it comes to their parents’ purchase decisions. Consider this – if A was planning to purchase a new personal computer for the family, do you think he could get away with not consulting his highly opinionated 7 year old who loves playing video games? For that matter, most decision-making exercises in families consider kiddie preferences as well. From holiday destinations to breakfast cereal choices, children have well-established preferences and ignoring that aspect is probably not a smart thing to do for a marketer. Discovering newer segments (like kids and teens) to target is crucial for the growth of any marketing program. The catch, however, lies in identifying the right segment and knowing how to reach out to them in a way as to influence their purchase decisions. This needs to be carried out using a solid Customer Value Maximization framework that helps financial services marketers identify and leverage unexplored segments and drive greater value from marketing programs.